British Airways is running a press campaign that explains its recent takeover of BMI, calling it a "positive step" for UK aviation and reassuring customers that the transition period will be "as smooth as possible". An ad, created by Bartle Bogle Hegarty (BBH), ran in the Sunday papers this weekend and appears in national and regional newspapers today. It shows BA and bmi's tailfins side by side and uses BA's "To Fly. To Serve." strapline. The ad follows the completion of bmi's £172.5m buyout last week by BA's parent company, International Airlines Group (IAG). Bmi's brand and operations will be completely integrated into BA's operations. The ad reads, "Welcome on board. We're happy to welcome bmi and its customers. It's a positive step for UK aviation that will allow us to offer you more frequent flights to a greater number of destinations. 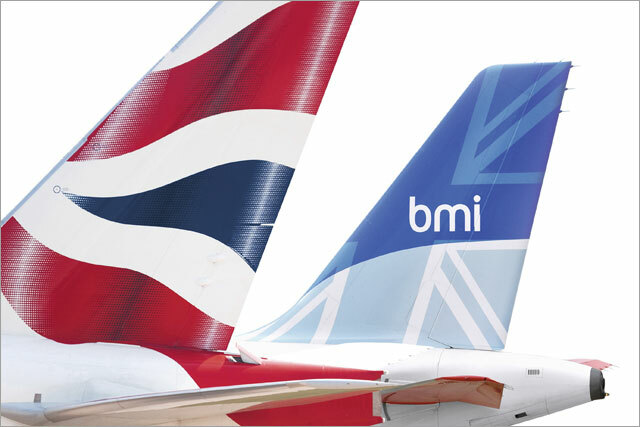 "We plan to operate bmi's Heathrow summer schedule so you can book and fly with confidence. "We aim to make this transition as smooth as possible for all customers. So as we continue to refuel the details of integrating our two organisations, we'll be publishing everything you need to stay up to date on ba.com/bmi." Industry view: Is easyJet's marketing makeover working?